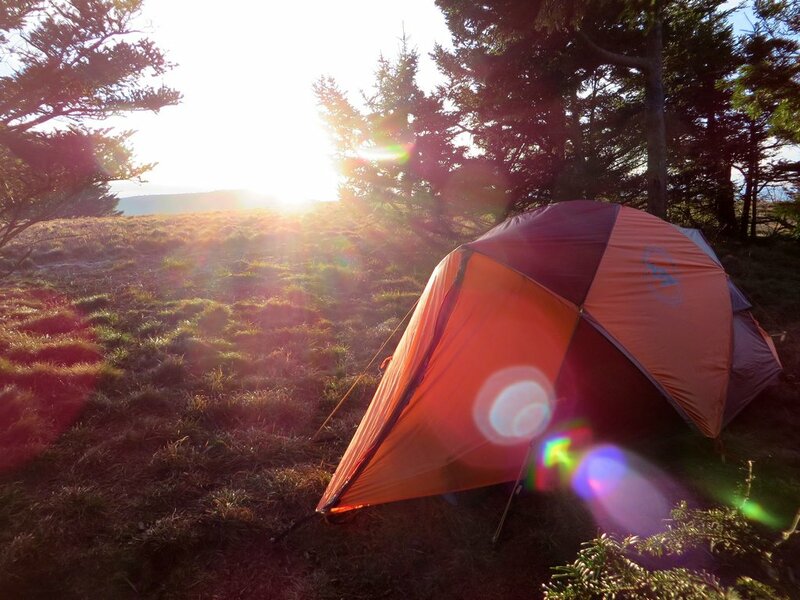 The Battle Mountain is a 4 season, mountaineering tent from Big Agnes. Designed with durability, livability, and light weight in mind, it strikes an exceptional balance of comfort on the trail, and at camp. The battle mountain is comprised of a light weight, yet rugged Cordura rip-stop nylon with a 1200mm waterproof polyurethane coating. The pole system is DAC NSL aluminum, with clips for easy assembly. There are two outfacing support poles that connect to a centralized hubbed pole system. 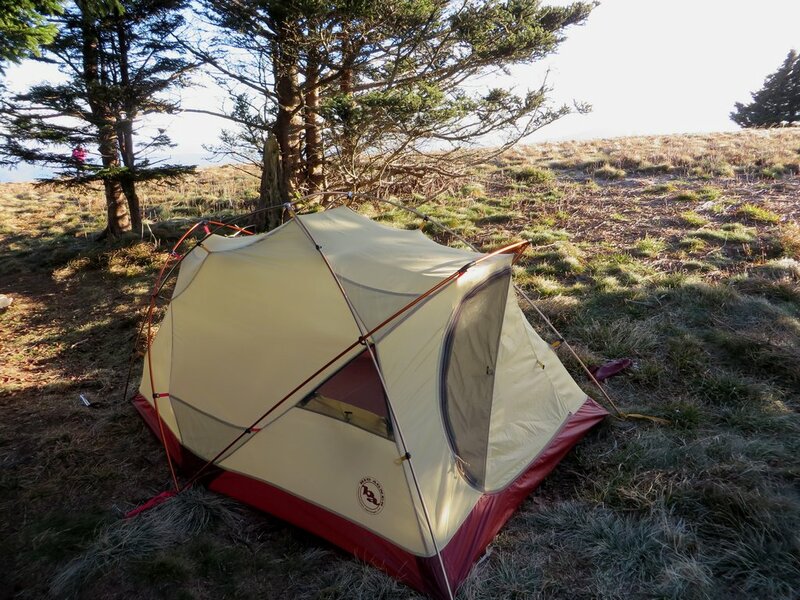 This provides support, while also extending the amount of usable space within the tent. The Battle Mountain has two doors; one with a large vestibule and a smaller door on the back for convenience and stashing a couple of smaller items on the inside. The shelter provides close-able vents, in the form of two slanted unzippable door covers, and two vents near the head of the sleeper. Guy out lines are plentiful, and scattered about the tent to provide additional wind resistance. The Battle Mountain debuts in 2015, and weighs 7 lbs. packed. The Battle Mountain does an exceptional job of handling high winds. 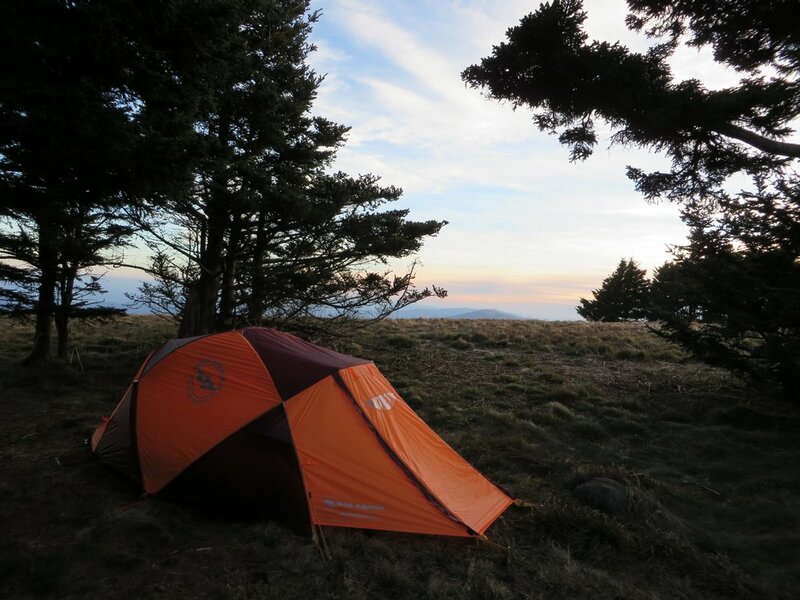 On harsh, gusty evenings on completely exposed balds, the Battle Mountain barely moved at all, allowing strong winds to flow over the tent without having any real affect. 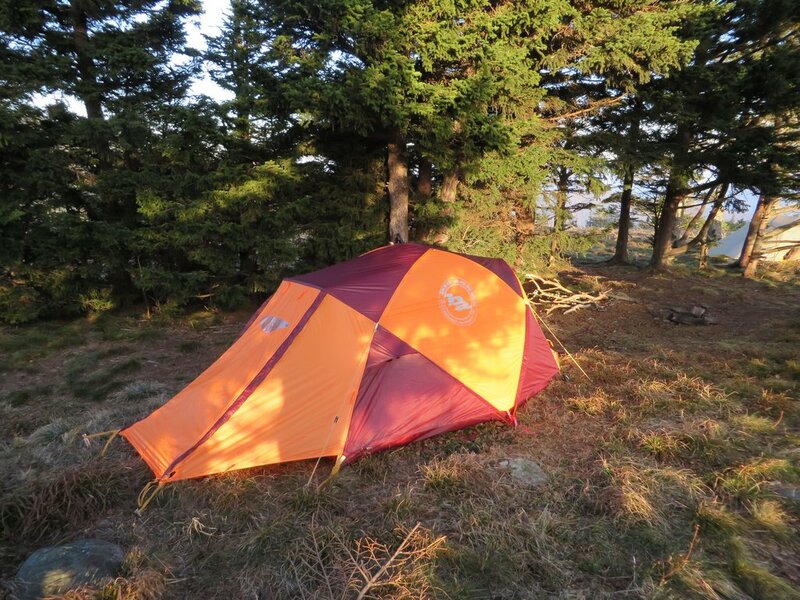 After properly staking out and guying out the shelter, it provides a backcountry fortress ready for any storm. This in large is because of the thick, rigid pole system in place. It holds strong, and does a great job of holding up to winds and weight from snow and ice. Even several pounds of ice and snow building up on the tent, the pole system never buckled under the weight. The shelter always stayed taut, and quiet while campers inside slumbered comfortably through the night. It bestows a level of confidence that is rare in these conditions, in any shelter. Ventilation is great, allowing you to open up to four vents, in all the right places. The doors are cleverly designed with slanted mesh coverings that can be unzipped, as to allow ventilation without adding unnecessary bulk or weight. Two more vents, stationed just above the sleepers head, provides quick entry of fresh air, while allowing wet stale air to flow out before building up inside. 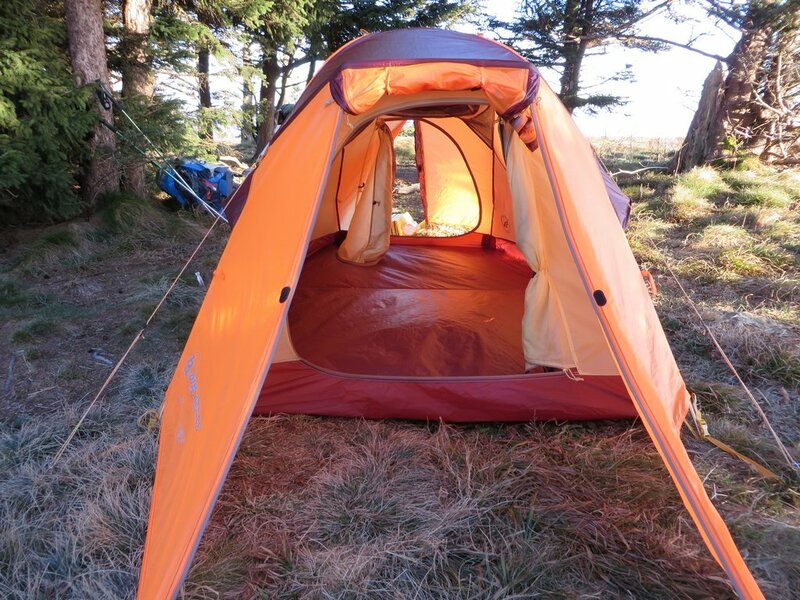 When zipped up completely, the tent blocked all gusts without stagnating the air inside. The walls did a great job of resisting moisture, while blocking in some precious heat. The inside of the tent can really trap warm air when it’s completely sealed, yet can breath very well with the vents open. Condensation was never an issue. Livability was quite good for a lightweight (for a 4 season) shelter. High ceilings and near vertical walls provided lots of shoulder, head, and elbow room. I never felt trapped inside the tent when I was hiding away from the elements. Instead, I felt at home. The interior is wide open, with convenient hanging pockets located in convenient spots, above the head and along the walls. The storage compartments store a ton of gear, being large enough to stuff cameras, cell phones, headlamps, and even jackets into the larger pockets. I was able to move about the tent with little issue. 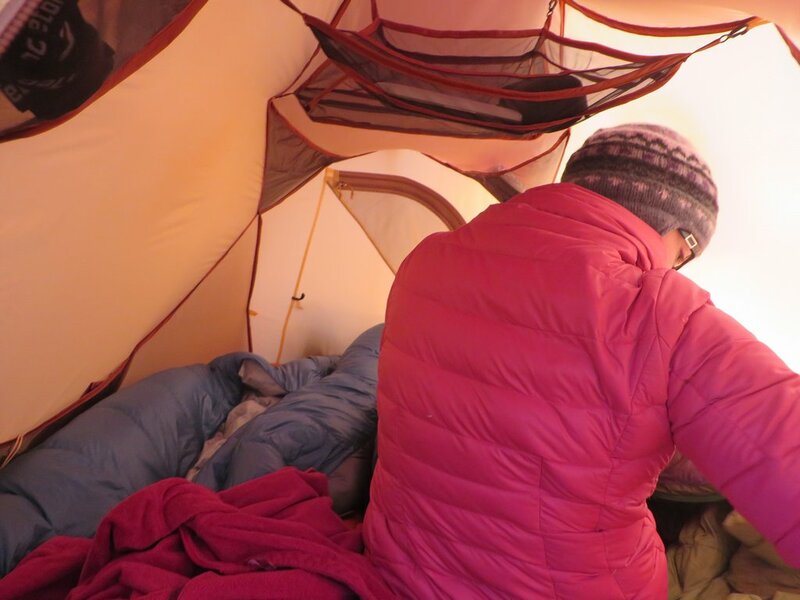 I never felt like I needed the tent to be just a little bit larger, even during extended stays. The large primary door provides plenty of storage, while providing entry and exit, while the secondary door in the rear allows for a second camper to slide in and out, without getting in each others way. 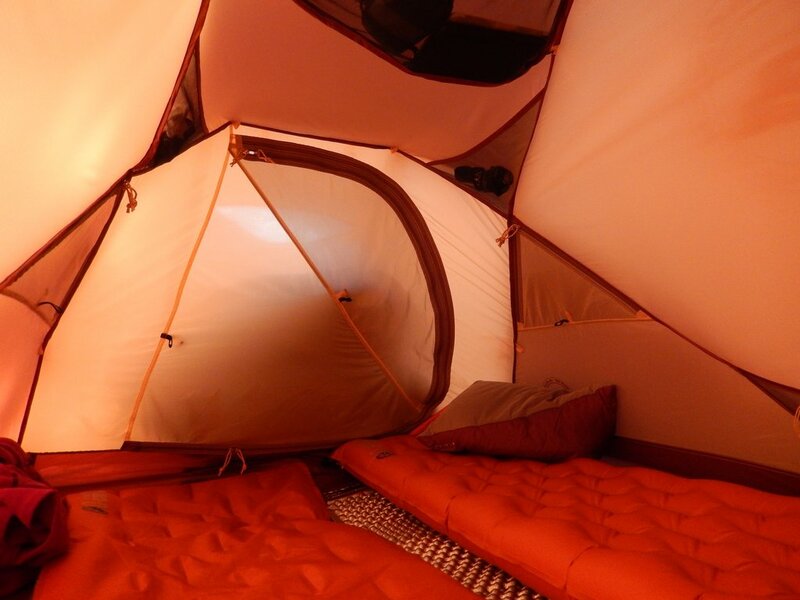 A small window provides a peak of the weather, while the carefully chosen colors provide a warm inviting orange glow inside the tent, further improving your experience while inside. The included tent stakes are big, burly, and do a great job of punching through hard or frozen ground, never slipping or loosening through the night. While the frame is incredibly durable, it is shaped in a way that creates a place for snow and ice to build up above the front door. Although I did have some accumulation there, it never caused any issues such as leaking or buckling under the weight. A quick shake of the tent corrected the problem, and the issue only really came up when the tent was pitched and loosened up after some wind, without being re-tensioned at the base of the tent. The primary door ended up becoming my primary gear storage, while the back door became my primary entry and exit. The vestibule, while luxuriously large, makes for a long stretch when reaching for the zippers on a cold morning when you’re still feeling a bit stiff. I found myself needing to crawl out a bit just to reach the zipper. Instead, we chose to use the rear door for access as it’s quite easy to reach the far zipper. This worked quite well. There are no adjustable stake points on either vestibule, although they are large enough to accommodate a snow shovel, so if you end up with a rock at that stake out point, you may have to get creative to avoid a floppy door during storms if you have to sacrifice your ideal staking angle. 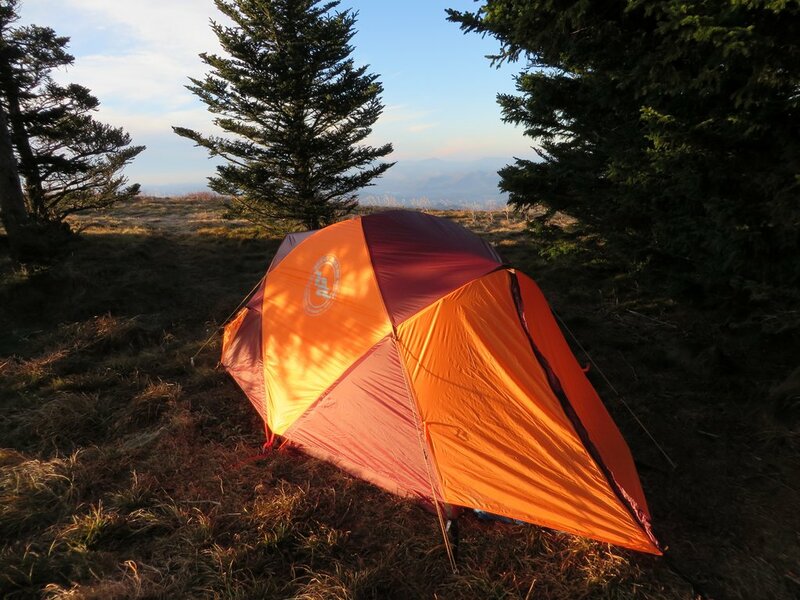 While light weight for its quality, the tent takes up a fair deal of pack space. Smaller packs may have problems stuffing it inside, unless you’re spreading it across multiple campers. I really, really like this tent. It kept me safe, warm, condensation free, and never got noisy during the night when strong winds were abundant. It’s built burly, with one of the best framing systems I’ve come across, and it provides tons of room inside with easy enough access through either the front or rear door. It’s lightweight for its build quality, at just around 7 lbs packed (2 ounces less on my scale, bonus! ), and has never once left me wondering if it would make it through the night. It’s everything a four season tent should be. I can’t recommend it enough. Thanks to Big Agnes for providing this product for review. For full disclosure and our polices, see our about me page.